Sometimes less is more, and the Radiant Midge Larva is just that! It has a really thin and sparse profile to imitate the wormlike appearance of red midge larvae. A dash of flash in thorax area simulates the puparium filled with gases that provide buoyancy as the midge ascends to the surface to emerge into an adult. This pattern has fooled finicky tailwater trout all over the west. 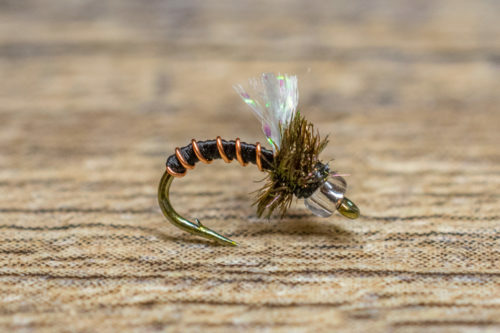 The Radiant Midge Larva is a fantastic attractor and is one of our go-to flies during the winter months. Sometimes less is more, and the Radiant Red Larva is just that! It has a really thin and sparse profile to imitate the wormlike appearance of red midge larvae. A dash of flash in thorax area simulates the puparium filled with gases that provide buoyancy as the midge ascends to the surface to emerge into an adult. 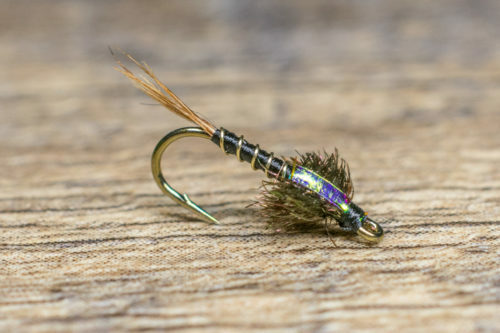 This pattern has fooled finicky tailwater trout all over the west. The Radiant Red Larva is a fantastic attractor and is one of our go-to flies during the winter months. 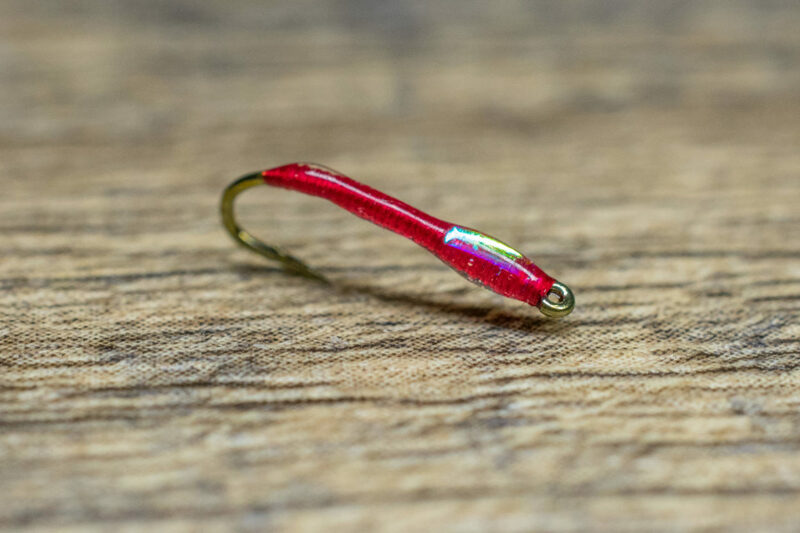 The Radiant Red Larva is another pattern we use to fool selective trout that are keying on red midge larva. The flash in the thorax is one of the key ingredients. The Radiant Red Larva can be dropped off another attractor or used as the attractor itself. It has quickly become one of our go-to patterns on Blue River, South Platte, Yampa, Arkansas, Frying Pan and Williams Fork. We often use this as an attractor during the shoulder seasons instead of an egg pattern.